In this article, we will try to understand and compare different aspects of centralized, decentralized and distributed systems. We start with centralized systems because they are the most intuitive and easy to understand and define. Centralized systems are systems that use client/server architecture where one or more client nodes are directly connected to a central server. This is the most commonly used type of system in many organisations where client sends a request to a company server and receives the response. Wikipedia. Consider a massive server to which we send our requests and the server responds with the article that we requested. Suppose we enter the search term ‘junk food’ in the Wikipedia search bar. This search term is sent as a request to the Wikipedia servers (mostly located in Virginia, U.S.A) which then responds back with the articles based on relevance. In this situation, we are the client node, wikipedia servers are central server. Presence of a global clock: As the entire system consists of a central node(a server/ a master) and many client nodes(a computer/ a slave), all client nodes sync up with the global clock(the clock of the central node). One single central unit: One single central unit which serves/coordinates all the other nodes in the system. Dependent failure of components: Central node failure causes entire system to fail. This makes sense because when the server is down, no other entity is there to send/receive response/requests. Only vertical scaling on central server is possible. Horizontal scaling will contradict the single central unit characteristic of this system of a single central entity. Communication link (Cables, Wi-Fi, etc.). Client-Server architecture. 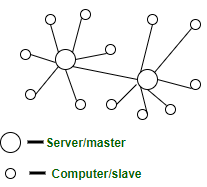 The central node that serves the other nodes in the system is the server node and all the other nodes are the client nodes. Can’t scale up vertically after a certain limit – After a limit, even if you increase the hardware and software capabilities of the server node, the performance will not increase appreciably leading to a cost/benefit ratio < 1. Bottlenecks can appear when the traffic spikes – as the server can only have a finite number of open ports to which can listen to connections from client nodes. So, when high traffic occurs like a shopping sale, the server can essentially suffer a Denial-of-Service attack or Distributed Denial-of-Service attack. Quick updates are possible – Only one machine to update. Easy detachment of a node from the system. Just remove the connection of the client node from the server and voila! Node detached. Highly dependent on the network connectivity – System can fail if the nodes lose connectivity as there is only one central node. Difficult server maintenance – There is only one server node and due to availability reasons, it is inefficient and unprofessional to take the server down for maintenance. So, updates have to be done on-the-fly(hot updates) which is difficult and the system could break. 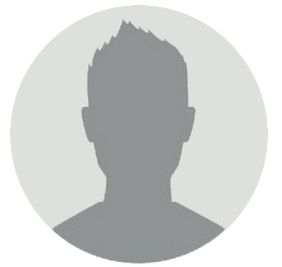 Application development – Very easy to setup a central server and send client requests. Modern technology these days do come with default test servers which can be launched with a couple commands. For example, express server, django server. Centralized databases – all the data in one server for use. These are another type of systems which have been gaining a lot of popularity, primarily because of the massive hype of Bitcoin. Now many organisations are trying to find the application of such systems. In decentralized systems, every node makes its own decision. The final behavior of the system is the aggregate of the decisions of the individual nodes. Note that there is no single entity that receives and responds to the request. Bitcoin. Lets take bitcoin for example because its the most popular use case of decentralized systems. No single entity/organisation owns the bitcoin network. The network is a sum of all the nodes who talk to each other for maintaining the amount of bitcoin every account holder has. Lack of a global clock: Every node is independent of each other and hence, have different clocks that they run and follow. Vertical scaling is possible. Each node can add resources(hardware, software) to itself to increase the performance leading to increase in performance of the entire system. Difficult to know which node responded – When a request is served by a decentralised system, the request is actually served by one of the nodes in the system but it is actually difficult to find out which node indeed served the request. Private networks – peer nodes joined with each other to make a private network. Cryptocurrency – Nodes joined to become a part of a system in which digital currency is exchanged without any trace and location of who sent what to whom. However, in bitcoin we can see the public address and amount of bitcoin transferred, but those public addresses are mutable and hence difficult to trace. This is the last type of system that we are going to discuss. Lets head right into it! In decentralized systems, every node makes its own decision. The final behaviour of the system is the aggregate of the decisions of the individual nodes. Note that there is no single entity that receives and responds to the request. Google search system. Each request is worked upon by hundreds of computers which crawl the web and return the relevant results. To the user, the Google appears to be one system, but it actually is multiple computers working together to accomplish one single task (return the results to the search query). Concurrency of components: Nodes apply consensus protocols to agree on same values/transactions/commands/logs. Lack of a global clock: All nodes maintain their own clock. Independent failure of components: In a distributed system, nodes fail independently without having a significant effect on the entire system. If one node fails, the entire system sans the failed node continue to work. Horizontal and vertical scaling is possible. client-server – some nodes are become server nodes for the role of coordinator, arbiter, etc. Grid computing – All the resources are pooled together for sharing in this kind of computing turning the systems into a powerful supercomputer; essentially.